A magical integer m is such that the remainder of the division of any prime number p by m is either a prime number or 1. What is the unique magical integer between 25 and 100? And is there any less than 25? and return m=30 as the only solution. Bon sang but of course!, since 30=2x3x5… (Actually, the result follows by dividing the quotient of the division of a prime number by 2 by 3 and then the resulting quotient by 5: all possible cases produce a remainder that is a prime number.) For the second question, the same code returns 2,3,4,6,8,12,18,24 as further solutions. There is no solution beyond 30. This is a book by James P. Howard, II, I received from CRC Press for review in CHANCE. (As usual, the customary warning applies: most of this blog post will appear later in my book review column in CHANCE.) It consists in a traditional introduction to numerical analysis with backup from R codes and packages. The early chapters are setting the scenery, from basics on R to notions of numerical errors, before moving to linear algebra, interpolation, optimisation, integration, differentiation, and ODEs. The book comes with a package cmna that reproduces algorithms and testing. While I do not find much originality in the book, given its adherence to simple resolutions of the above topics, I could nonetheless use it for an elementary course in our first year classes. With maybe the exception of the linear algebra chapter that I did not find very helpful. The (minor) issue I have with the book and that a potential mathematically keen student could face as well is that there is little in the way of justifying a particular approach to a given numerical problem (as opposed to others) and in characterising the limitations and failures of the presented methods (although this happens from time to time as e.g. for gradient descent, p.191). 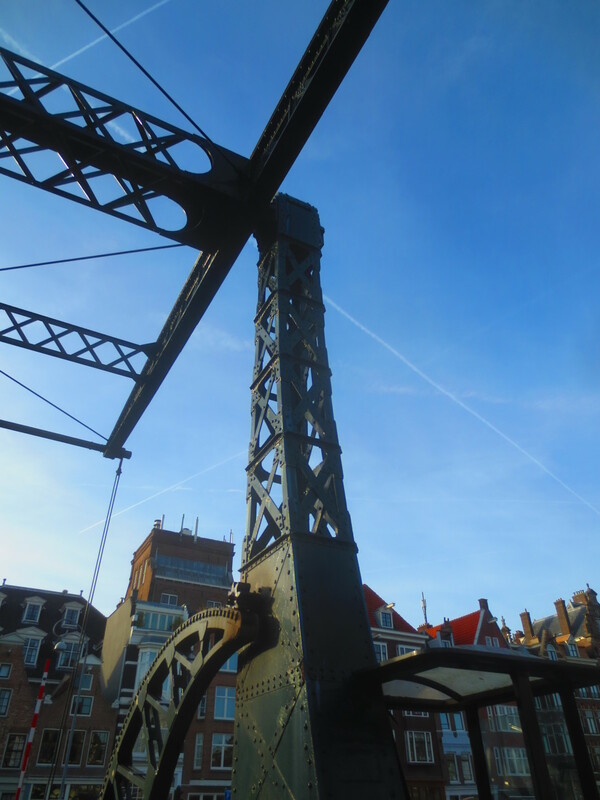 [Seeping in my Gallic “mal-être”, I am prone to over-criticise methods during classing, to the (increased) despair of my students!, but I also feel that avoiding over-rosy presentations is a good way to avoid later disappointments or even disasters.] In the case of this book, finding [more] ways of detecting would-be disasters would have been nice. An uninteresting and highly idiosyncratic side comment is that the author preferred the French style for long division to the American one, reminding me of my first exposure to the latter, a few months ago! Another comment from a statistician is that mentioning time series inter- or extra-polation without a statistical model sounds close to anathema! And makes extrapolation a weapon without a cause. When I saw this title among the CRC Press novelties, I immediately ordered it as I though it fairly exciting. Now that I have gone through the book, the excitement has died. Maybe faster than need be as I read it while being stuck in a soulless Schipol airport and missing the only ice-climbing opportunity of the year! 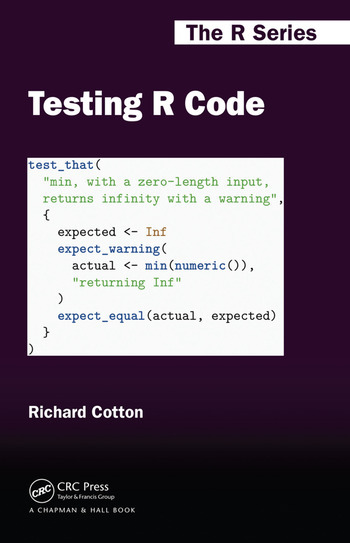 Testing R Code was written by Richard Cotton and is quite short: once you take out the appendices and the answers to the exercises, it is about 130 pages long, with a significant proportion of code and output. And it is about some functions developed by Hadley Wickham from RStudio, for testing the coherence of R code in terms of inputs more than outputs. The functions are assertive and testthat. Intended for run-time versus development-time testing. Meaning that the output versus the input are what the author of the code intends them to be. The other chapters contain advices and heuristics about writing maintainable testable code, and incorporating a testing feature in an R package. While I am definitely a poorly qualified reader for this type of R books, my disappointment stems from my expectation of a book about debugging R code, which is possibly due to a misunderstanding of the term testing. This is an unrealistic expectation, for sure, as testing for a code to produce what it is supposed to do requires some advanced knowledge of what the output should be, at least in some representative situations. Which means using interface like RStudio is capital in spotting unsavoury behaviours of some variables, if not foolproof in any case.